Serving South Florida and Beyond! Let TechPro Security Products help you with any of your Warehouse Security Cameras Installation requirements. Our knowledgeable security experts will design the ideal surveillance solution that will protect any warehouse around the clock. We have been based out of Boca Raton for the last 10 years and serve all of South Florida with security camera installation services. Picking the right surveillance contractor to install your security cameras and related security products are crucial to knowing that it will be done the right way and on time. Customer satisfaction is our main priority. TechPro Security Products is not just another security camera installation company that will disappear right after the warranties run out. We have proudly been operating at the same location for over 10 years. TechPro Security Products exclusively designs and installs complete surveillance solutions from start to finish for Warehouse Security Cameras. We manufacture all of our own products at one convenient location. You will not have to deal with any middlemen as we firmly stand behind our products and services. 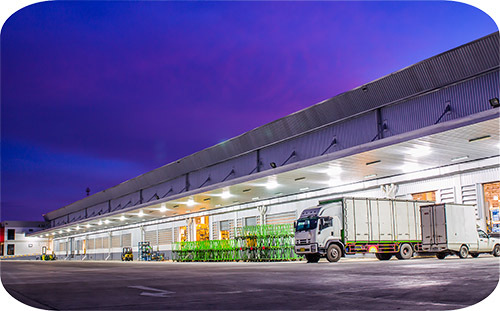 Innovative security and surveillance techniques are combined with superior warehouse security cameras. These proven techniques will provide the most complete coverage while still being affordably priced. This allows your facility to know that assets are protected around the clock plus you have the ability to monitor productivity. Call today to schedule an appointment and we will visit your warehouse or facility and deliver the most competitive quote. Let our surveillance experts design the most protective warehouse security cameras solution. We now include other security related services for our clients. Remote Video Monitoring and access control will deliver the ultimate level of security for your commercial facilities. Talk to a surveillance expert today? See how one of our security professionals can assistant you today! TechPro Security Products is renown for providing the ideal security surveillance solution for any type of warehouse or commercial facility. All warehouse security cameras are designed around your architecture and facility layout to give the utmost surveillance coverage. The ability to easily monitor every square inch of your facility – front, back, side and even the top with an aerial view. We have the ability to utilize different surveillance camera techniques that permit remote viewing, live monitoring and alerting. Security alerts can be triggered for a multitude of options from motion to sound. For homeowners and homebuyers, security surveillance is a top priority to consider when investing in a new or existing home. TechPro Security Products rapid ascension in the security camera installation field is easily attributed to a few noticeable areas. Customer satisfaction is the trademark for which we have worked exceedingly hard to establish ourselves as a leading hoa security camera installation company.